Outlook 2010 introduced a new feature: Team Callendar. Team Calendar is created automatically based on fields ‘Manager’ , ‘Direct Reports’ from AD. Automatic configuration of this feature is very convenient. The problem appears when you do not want to see these calendars in Outlook. So we’ll have a little work. For single user simply disable this feature directly in Outlook. Expand ‘Calendar Groups‘ and deselect ‘Show Team Calendar‘, ‘Show Manager’s Team Calendar‘. 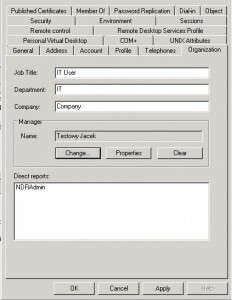 If we want to avoid user’s ability to manage these functions and permamently disable feature we can use Registry Editor. This problem is not common but quite annoying and usually hard to understood by users. In most cases problem occurs If you remove mailbox and re-create it with the same AD account , for an example after firing and re-hiring of the employee after some time. It also occurs after migrations. 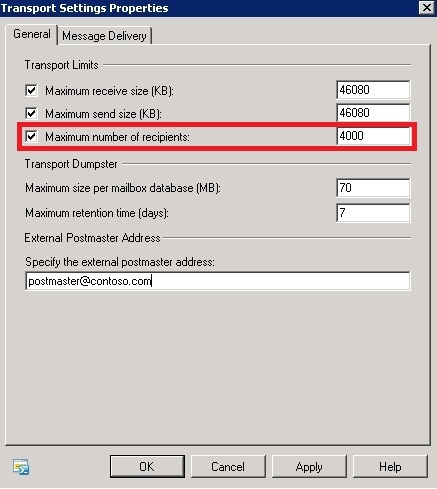 The recipient's e-mail address was not found in the recipient's e-mail system. 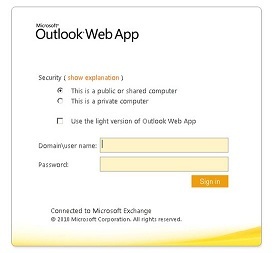 Microsoft Exchange will not try to redeliver this message for you. Please check the e-mail address and try resending this message, or provide the following diagnostic text to your system administrator..
And now the question is: Why? Sometimes (for example, after a small disk array failure ;)) you need to resume failed and suspended database copy. We can do that with this command: resume-mailboxdatabasecopy . But what if there is a lot of databases ? If any of you considering installing Exchnage 2010 SP2 with RU1 or RU2 or Ru3, the following information is addressed to you. If your Exchange Organization have many Exchange Servers with CAS roles with different Exchange version, then after upgrade any of CAS server to Exchange 2010 SP2 with RU1 or RU2 or RU3 you can have problems with CAS to CAS proxying. In scenario where an Exchange 2010 SP2 RU1 Client Access server is proxying to an earlier version of Exchange 2010 or Exchange 2007 Client Access server, then you are affected with a problem to use OWA. Description: Watson report about to be sent for process id: 744, with parameters: E12, c-RTL-AMD64, 14.02.0283.003, OWA, M.E.Clients.Owa, M.E.C.O.C.ProxyUtilities.UpdateProxyUserContextIdFromResponse, M.E.C.O.Core.OwaAsyncOperationException, 413, 14.02.0283.003.